Maegene Bay was born on 12 October 1911 in McGregor, McLennan County, Texas. A photographic portrait was made of cousins Maegene Bay, John Bay Wood and Eloise Brown, about 1914. James Foster Bay and Mary Elizabeth Weatherford appeared in the US federal census of 1 January 1920 in Richards, Grimes County, Texas. Other members of the household included Maegene Bay, Marion Edwin Bay and James Foster Bay Jr. Also in the household was boarder Wesley Chandler. James Foster Bay and Mary Elizabeth Weatherford appeared in the US federal census of 1 April 1930 in Huntsville, Walker County, Texas, at 1822 Avenue L. Other members of the household included Maegene Bay. At the time of her death Maegene Bay was living in Harlingen, Cameron County, Texas, at 1614 Austin. 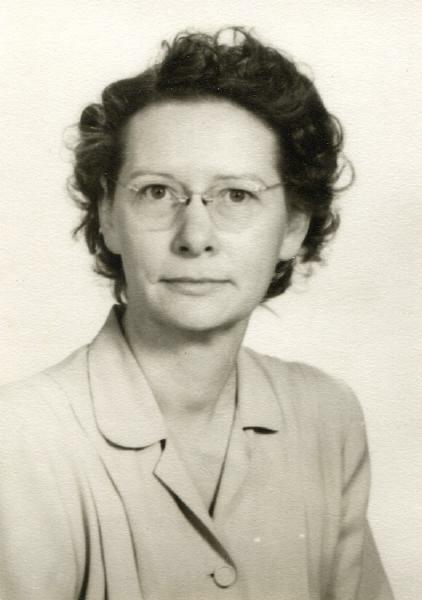 Maegene Bay died on 23 May 1966 at age 54 in Harlingen, Cameron County, Texas, at Valley Baptist Hospital. She was interred at Mont Meta Memorial Park, San Benito, Cameron County, Texas.